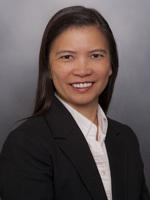 Mai N. Nguyen-Huynh, MD MAS, is a board certified vascular neurologist. She is a research scientist at the Kaiser Permanente Northern California Division of Research. She is also the Kaiser Permanente Northern California Regional Medical Director for Primary Stroke and Chief of Neurology for Diablo Service Area. Her research interests include stroke and transient ischemic attack epidemiology with a focus on acute management, large artery atherosclerotic disease, and racial-ethnic variation in stroke risks and outcomes. She is particularly interested in the implementation of evidence-based guidelines into clinical practice. The Northern California Regional Coordinating Stroke Center (NorCal-CSC) is a joint effort between U.C. San Francisco and selected medical center(s) within Kaiser Permanente as part of the National Institute of Neurological Disorders and Stroke (NINDS) Stroke Trials Network. This project has two aims. First, NorCal-CSC will become a resource to any network principal investigator to plan, initiate, and complete a clinical trial in the neurosciences. Second, NorCal-CSC will provide training opportunities to medical students, residents, fellows, and faculty within the network to plan and conduct clinical trials. With stroke treatment, there is a general belief that "time is brain." However, there has been no published data examining specifically the association between door-to-needle times for acute treatment with intravenous alteplase in stroke patients and 90-day outcomes. In 2016, the Kaiser Permanente Northern California Stroke EXPRESS program rolled out at all 21 primary stroke centers with significant improvement in door-to-needle times. This study has two major aims: 1) to determine if there is an association between door-to-needle times and mortality at discharge and at 90-day post-treatment in patients who receive acute thrombolysis treatment with intravenous alteplase at Kaiser Permanente Northern California, and 2) to determine if there is an association between door-to-needle times and 90-day favorable functional outcome (defined as mRS 0-2) in patients who receive acute thrombolysis treatment with intravenous alteplase at Kaiser Permanente Northern California. Hospital readmissions are a tremendous burden on patients, their families, and the health care system. In 2008, the Centers for Medicare and Medicaid Services began publicly reporting hospital-level, risk-standardized, 30-day readmission and mortality rates for acute myocardial infarction and heart failure. Stroke survivors also have high risk of new illness, worsened known diseases, functional decline, and a high death rate. Readmission rates of 20 to 27 percent within one year have been reported. A systematic review of predictors of hospital readmission after stroke yielded no risk-standardized models for comparing hospital readmission performance or predicting readmission risk after stroke. This project aims to create a risk-adjusted predictive model for re-hospitalization after ischemic stroke using retrospectively and prospectively collected patient-level and hospital-level data, and to validate the model retrospectively and prospectively. The primary objective of the trial is to compare the effect of 90-day treatment with ticagrelor (180 mg [two 90 mg tablets] loading dose on Day 1 followed by 90 mg twice daily maintenance dose for the remainder of the study) vs acetylsalicylic acid (ASA)-aspirin (300 mg [three 100 mg tablets] loading dose on Day 1 followed by 100 mg once daily maintenance dose for the remainder of the study) for the prevention of major vascular events (composite of stroke, myocardial infarction, and death) in patients with acute ischemic stroke or transient ischemic attack. The primary goal of the NINDS Stroke Trials Network is to maximize efficiencies to develop, promote and conduct high-quality, multi-site clinical trials focused on key interventions in stroke prevention, treatment, and recovery with the objective to have a balanced portfolio between all three approaches. The aims of the Northern California Regional Coordinating Stroke Center are to: 1) Become a resource to any network PI to plan, initiate and complete a clinical trial in the neurosciences. This will be a joint effort between UCSF and selected medical centers within Kaiser Permanente; and 2) Provide training opportunities to medical students, residents, fellows and faculty within the network to plan and conduct clinical trials. ​Stroke. 2008 Apr;39(4):1184-8. doi: 10.1161/STROKEAHA.107.502906. Epub 2008 Feb 21.